I have to tell you the funnest story: A couple of months ago, I was at Hastings (our local bookstore) gushing over the latest Molly Makes and trying to get my husband to understand why it's the cutest thing ever. As I was hugging it (I hug things) I was telling him "Someday....I will be in Mollie Makes! Even if I have to email them and beg them to put me in it!". Two days later I got an email from them asking to feature my little handkerchief rosettes I posted about forever ago. I was like "Seriously?! Yes!!" What are the odds? So exciting! They wanted the hi-res versions of a few of the original post photos, which of course I didn't have, because that was before I thought about saving things like that. So I tried to set up the identical shots and it took me three times to go back and reshoot to get shots that I thought looked right. At the last moment I snapped a quick shot of Paige wearing one because she asked me to, and wouldn't you know it-that's the photo they picked! :O) I can't blame them, Girlfriend has killer dimples! So, anyway, if you're in the US, check out the latest Mollie Makes to see Paige! She's been telling everyone about it. Seriously, everyone. People in grocery stores, at church...whoever happens to be around. Especially check it out if you've never read Mollie Makes because oh my, you guys, it's so cute and fun! It's filled with quirky crafts and vintage things and beautiful artists. It's delicious. Ohh what fun! Way to go! It just proves visualizing can help make things come true! 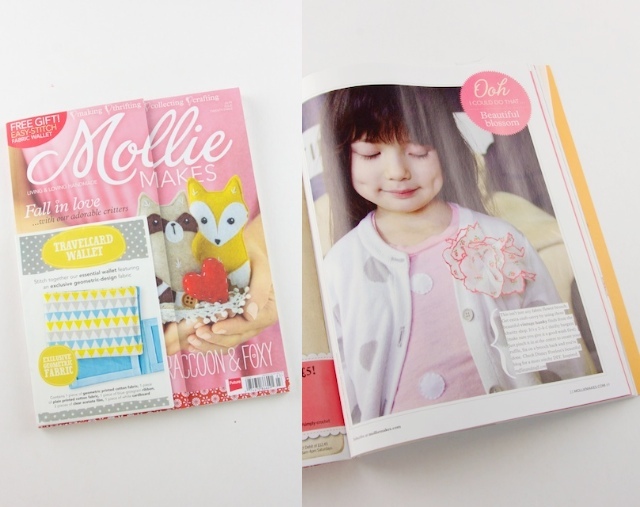 LOVE MOLLIE MAKES! It's amazing. Congrats on getting little Paige in there! She is such a doll. I also remember that handkerchief craft being one of the first things I ever made from your website. So glad to see the first bits of inspiration resurface! That's such a cute picture! And what a cool story! So happy for you! How fun! Good for you!!! She is so cute, and so is that magazine! Congrats on being featured! Aww, so fun! Congratulations! She's such a cutie! Congratulations to both you and Paige. She is such a cutie. I am going to have to take a look at Mollie Makes. Looks like cute stuff in there. Good for you, Disney! How fun to have it happen right after you verbalized it. And Paige is irresistibly cute. THAT'S SO CUTE! you must be so proud to be in so many publications! Your amazing and your daughter IS ADORABLE! Love it I saw it last month, the only good thing about a digital subscription. Don't tell my husband but I buy the paper issue also! She is so cute. How adorable! Congratulations on getting a chance to be in Mollie Makes! 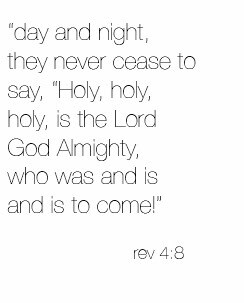 That is so exciting. Congratulations to you and Paige! I will definitely go and check it out. I've never read Molly Makes so I'm looking forward to it. From the pic above, Paige is super cute (as always) Congrats on the feature!! That really is exciting! Congrats! And yes, your dolly does have killer dimples! PS Your list on the left of "as seen in" is getting crazy long!!! So happy for you! Isn't it funny how you can be going along with your life and then an email like that can come out of the blue? You just never know when it'll happen! Fun fun. Paige's dimples are definitely magazine-worthy! Oh look at you! So proud!!!! And don't worry, I'm not like a 'creeper' stalker! And P.S. we totally know each other! You are one of my faithful commenters and I totally appreciate your support. :O) Blogging would not be fun if it weren't for you. Eek! I love that magazine! I'm definitely going to pick it up this time! Congrats! i just splurged on this a few days back just because of you and paige!! cogratulations, i love this magazine! !